How do you make an audio file of my work? Once we've accepted your work for publication in The Drum, we will arrange with you either to meet in person and record your piece, or to have you make the recording yourself and send us the file. The Drum is based in Boston and may occasionally record audio in the offices of Grub Street Writers. What if I don't want to read my own work aloud? No problem. We can arrange to have a different reader create the recording with us. That reader will have no rights to your text, which is owned by you, or to the audio, which will be owned by The Drum. Does The Drum pay contributors? Yes, as of our September 2015 issue, The Drum pays a $50 honorarium to contributors. I'd like to submit a story, poem, or essay. Should I send you a sound file? Please submit your work using the handy submission management software provided by Submishmash. If we like the piece and choose to publish it in audio form, we will be in touch with you about how to make the recording. See our Submission Guidelines for more detailed information. The only exception to this policy is our Dispatches feature. Submissions to Dispatches should be sent in audio form. For more details on this exciting feature, see our Submittable page. Will I be able to create another recording of this piece for another website, podcast, or other form of distribution? Absolutely. You'll retain all rights to your work except the rights to the particular recording of it that will appear in The Drum. Will I be able to publish my piece in print form at a later date? Yes. The Drum holds only the rights to the particular audio created for The Drum and holds no rights to the print form, though we may ask you for those rights (which you may decline to give) in the event that we decide to put together a special print collection at some later date. How long will my piece be available to listen to? Each story or essay will be available on the website for six months. After that, it will be available for purchase from the archives. What if my piece has already appeared in print form elsewhere? Your piece can still appear in The Drum in audio form, provided that any contract you might have with the previous publisher doesn't claim an exclusive right to any future audios. Can I download the audios? Yes, you can download audio files to an mp3 players or listen to them on the website. Can I share the audios? Yes, but if you choose to share the audio files, we ask that you limit your sharing to five other listeners (who in turn cannot share them further). While we want to spread the word about our new writing, The Drum can't operate without the support of paying listeners. Can I comment on an audio? Of course. We encourage listeners to participate in constructive discussions about specific works or, through our broader discussion forum, about more general aspects of reading and writing. Can I upload my own audio? No, but at some later date, we may create a forum for listeners to share their own recordings of public-domain work or of their own work. How can I donate to The Drum? Click on the donate button on the home page to use our Paypal system. Thank you! What are other ways in which I can help The Drum? Spread the word. Buy a t-shirt and wear it proudly. If there's a reading series in your area, contact us about making a connection. Contact us at theeditors@drumlitmag.com about internships. Do you pay the readers? Unfortunately, though we would love to, we're not able to pay our readers at this point. How can I read aloud for The Drum? If you have experience with acting or voice-over work and would like to contribute your time, please do get in touch with us at theeditors@drumlitmag.com. Do I retain the rights to the recording of someone else's work that I create for The Drum? The Drum retains all rights to the particular recording you make for us. However, you do have the right to use the recording in promotion for your career, so long as you note that the recording was made for The Drum (the recording will have an intro that will specify that it is part of The Drum). Submissions to The Drum are open again. Bear with us as we catch up, but eventually our aim is to respond within one month of receiving your work. We believe that creative work should be paid for. We are putting our money where our mouth is and are now paying contributors an honorarium of $50 for each essay, short story, or poetry submission. The Drum is supported entirely through donations and advertising, but we feel it's important to lead by example. We want fans of literature, audio, podcasts, and good storytelling to support us, so we'll begin by supporting the writers who make the literature, audio, podcasts, and good storytelling possible. Congratulations to the winners of our fifth annual MuseFlash contest: Stephen Dorneman, Stacey Resnikoff, Louise Houghton, and Linda Cutting! Their flash pieces were recorded live at GrubStreet's Muse and the Marketplace conference on May 2, 2015. Check out Issue 54 to hear their work. Join us for tales of law-breaking, rule-bending, and genre-busting. The event will feature bestselling/award-winning authors Matt Bell, Jenna Blum, Christopher Castellani, and Marie Myung-Ok Lee. There will be a short, fun (anonymous?) transgression-oriented questionnaire - best answer wins a free drink! When: Friday, March 8th 6 - 7:45 p.m. Ten Boston authors got together with The Drum to create flash-fiction pieces set during the Boston Book Festival. Characters include a Globe reporter covering the BBF, a teen whose mother is a best-selling author, a homeless young man who loves poetry, and many others. Download the Moveable Feast app for iPhone and iPad, tap "take a tour" and look for the tours with the Boston Book Festival logo. You can listen to the story read by the author, or read the text. And it's all free! Since we launched in May 2010, we've had some great write-ups on various blogs and websites. The two latest can be found at The Things They Read and The Rumpus. 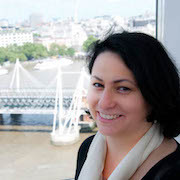 On The Things They Read, Melanie Yarbrough likes what The Drum offers: "Rather than an attempt to reinvent the wheel of storytelling, The Drum is a platform that uses the accessibility of technology to promote stories and their authors rather than tear them down. The short story and its telling are very much alive at The Drum, and I look forward to see the work they continue to highlight." The Rumpus' Seth Fischer says he's "selfishly thrilled to see a lit mag making [authors reading their own work aloud] a focus." He says Celeste Ng's "Trick" "blew [him] away. 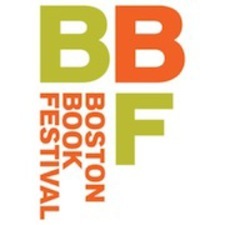 Before the weekend of the Boston Book Festival, The Drum gets some visibility thanks to our cool logo [at 2:32 into the video]. The Drum is the official literary magazine of the Boston Book Festival. Take a walk on the wild side. Sounds like Lou Reed knew about our fourth Lounge Lit event when he wrote those lyrics. Join local writers Dawn Tripp, Chris Abouzeid, Chris Castellani, Holly LeCraw, Ethan Gilsdorf, and Drum founding editor Henriette Lazaridis Power as they read their short essays and stories about transgression. Law-breaking, rule-bending, convention-busting, paradigm-shifting. They'll do it all. And we decree that the statute of limitations has expired on any story these writers tell! WBUR's Adam Ragusea will host the event. Lounge Lit is co-sponsored by The Drum, the Boston Book Festival, and WBUR. The Transgressions event takes place from 6pm-8pm at the Middlesex Lounge at 315 Massachusetts Ave. in Cambridge, MA. Tickets are on sale now and are just $20 in advance ($25 at the door): reserve your spot today! Click here for more information. WBUR correspondent Sacha Pfeiffer interviews Drum editor Henriette Lazaridis Power and Drum contributor Ethan Gilsdorf about PerambuLit, the create-your-own-adventure story they co-wrote along with Jenna Blum, Daphne Kalotay, Matthew Pearl, Catherine Elcik, Becky Tuch, and Steven Brykman, almost all of whom have contributed to The Drum as well. PerambuLit was put together for the 2011 Boston Book Festival with the tremendous help of Matthew Doyle and the whole team at Broadcastr. Read the transcript and/or hear the audio here. The Drum is looking for some friendly folks to help with our audio project at the Boston Book Festival. The project is called BOOKS, ACTUALLY, and it's a collection of audio flash fiction pieces set during the Festival, written by a bunch of local writers and Drum contributors. Festival-goers can use their smartphones to listen to the stories that are geotagged to specific locations around the BBF area. What's a volunteer's job? 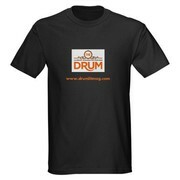 To sport a handsome Drum t-shirt while telling people about the stories and showing them how to download the app and listen to the audio. If you're interested in taking a shift on October 27th, email Henriette Power at editor@drumlitmag.com. If you're attending the Boston Book Festival on October 15, 2011 (and why wouldn't you be? ), get ready to do some walking. Working with Broadcastr, and with Broadcastr's inimitable Matthew Doyle, The Drum has brought together a group of established and up-and-coming Boston-based writers to produce PerambuLit, a Create-Your-Own-Adventure story for the Boston Book Festival. PerambuLit is an audio story that lets festival-goers experience a fictional narrative both by listening to it as they walk along its various routes. As you walk around Back Bay, you'll hear Ethan Gilsdorf, Jenna Blum, Daphne Kalotay, Matthew Pearl, Steven Brykman, Catherine Elcik, Becky Tuch, and Henriette Lazaridis Power reading the story segments they've created especially for the Boston Book Festival's Copley Square location. To learn more about this exciting audio-narrative project, click here. To learn about Broadcastr, the platform for sharing location-based audio--and the people who've made PerambuLit possible, visit their website here. An October 15, 2011 article about new technologies in publishing and at the Boston Book Festival cites The Drum and PerambuLit as one of the "rainbow of options" for festival-goers. For September 2011, the beginning of the school year, we're featuring three writers from Grub Street's Young Adult Writers' Program. Hau Nguyen, Ally Engelberg, and Molly Zimetbaum participated in YAWP over the previous academic year, and we are delighted to be giving the work of these talented young writers a new audience. For more information on YAWP, click here. The paperback edition of Jenna Blum's second novel, The Stormchasers, will be released on April 26. You can pre-order the book here. Jenna recorded a chapter of The Stormchasers for The Drum in May 2010, just prior to the novel's publication. A new edition of Jonathan Papernick's collection of short stories The Ascent of Eli Israel with an introduction by Dara Horn will be published in May 2011. Almost everything you ever wanted to know about The Drum, in an interview for WBUR's Radio Boston program. Hear Jennifer Haigh and Henriette Lazaridis Power speak with Sacha Pfeiffer about how audio enriches the experience of literature, and listen for clips of Haigh, Shubha Sunder, and the readers of our first Stories on the Streets piece. Randy Susan Meyers read a chapter from The Murderer's Daughters for The Drum back in May for our inaugural issue. The novel has just been released in paperback. 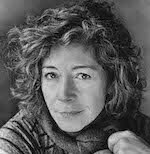 Caralyn Davis is the Winner of the 2011 Drum/Side B Dual Publication Award for her short story "Wallow". Randy Ross is the Finalist for his flash-fiction piece "One Day in Thailand". Hear them read their work here, and read the work in print in Side B Magazine's current issue. The Drum Literary Magazine and WBUR's Radio Boston are joining forces to bring you Zip-Code Stories, where listeners share their own stories about the neighborhoods that make Greater Boston unique. Zip-Code Stories invites WBUR's listeners to do the talking. Each month, we'll name four zipcodes and we'll invite listeners to submit their own stories about those zipcodes. You'll be able to upload your audio straight onto Broadcastr, and the best pieces will be included in The Drum's Broadcastr playlist. Each month, we'll be featuring one story on Radio Boston. Zip-Code Stories launched on Monday, August 8 2011 with a Daphne Kalotay's "Sunshine Cleaners," set in Brookline's 02246. Subsequent zip-code featured authors include Askold Melnyczuk (02139), Roland Merullo (02151), and Jennifer Haigh (02657). You can submit your work to Zip-Code Stories here. For information on other ways to submit, click here. "Revere Beach, 1972" by Daniel Gewertz and "Brookline Night" by Vanessa Tardiff are our winner and runner-up for October's round of Zip-Code Stories. Zip-Code Stories is a collaboration between The Drum and WBUR's Radio Boston. Each month, we'll name four zip codes from the Greater Boston area and we'll ask you to send in your 500-word stories (fiction or non-fiction) about one of those zip codes. To read more about Zip-Code Stories, visit our page on WBUR's website. And to hear the four short stories we collected when we launched the program this past August, click here. The zip codes for this round were 02139, 02246, 02657, and 02151. The next four zip codes are: Somerville's 02144, Lowell's 01851, Framingham's 01702, and Salem's 01970. Send us your 500-word story by November 10th. Submission guidelines are here. "Off the Map" by Lisa Rogers is our winner for February's round of Zip-Code Stories. Zip-Code Stories is a collaboration between The Drum and WBUR's Radio Boston. Each month, we'll name four zip codes from the Greater Boston area and we'll ask you to send in your 500-word stories (fiction or non-fiction) about one of those zip codes. To read more about Zip-Code Stories, visit our page on WBUR's website. And to hear the four short stories we collected when we launched the program this past August, click here. The zip codes for this round were 01930, 02301, 02131, and 02482. For the next round, we're opening things up. Send us your 500-word story about any zip code you have something to say about--fiction or non-fiction. Send your Zip-Code Story in by March 15th, or record it straight onto Broadcastr so we can add it to The Drum's playlist. Submission guidelines are here. Our new Lounge Lit series--co-sponsored with 90.9WBUR and The Boston Book Festival--kicks off next Thursday, February 16 from 6pm-8pm at the Think Tank in Cambridge with Zip-Code Stories Live! Tickets are on sale now and are just $20 in advance ($25 at the door): reserve your spot today! 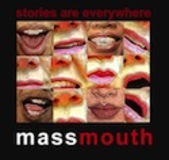 Based on our project with Radio Boston series, we're bringing together Holly LeCraw, Steve Macone, Dawn Tripp, Marianne Leone, and Regie Gibson to read short stories inspired by Boston-area zip codes. The evening will be hosted by Drum editor Henriette Lazaridis Power, and Anthony Brooks, co-host of WBUR's Radio Boston. Put your name on the map by reading your own 500-word Zip-Code Story during our open mic, or just take in tales from around our city (not to mention complimentary beer, wine, and apps). The series, which supports the Boston Book Festival and The Drum, continues in March and April with more great events, also on sale now. Our special Lounge Lit package gets you tickets for all three for just $50. We are delighted to nominate the following works from among the more than four dozen short stories and essays we published in 2013. We are printing these stories here in a special collection, but you can listen to their authors read them aloud by clicking on the relevant links. Submissions will close on October 31, 2018 and reopen on January 1, 2019. We are pleased to be able to pay contributors to The Drum a $50 honorarium for their work. The Drum is looking for work that pays close attention to language while never losing sight of the narrative drive. We want stories that really do tell a story. And essays that engage in the complexity of an idea. At The Drum we seek poems whose voice, vision and music surprise us. Submissions may contain up to three unpublished poems. The poems should be submitted as a single file; you may also include a brief cover note. We are open to all forms and styles, but please keep in mind that The Drum is an audio magazine (with no print component), so your poems must thrive out loud. We publish essays under 5,000 words in length, and fiction in a wide range of lengths, from short-shorts to short stories, no more than 5,000 words. We no longer accept unsolicited novel excerpts. Please note our new maximum length for short fiction. We have found that longer stories don't work as well in audio form and are thus looking for fiction that comes in at approximately twenty minutes of recording time. A word about the essay form: An essay is not the same thing as a first-person narrative of events from your life. At least that's not all it is. An essay by definition attempts something, tries something out. It is not simply a story that is true (to distinguish it from a short story that is fiction). A good essay explores something, examines an idea or an event, reflects on an experience. If you have an essay like that, we are eager to take a look! For information on rights, read our FAQ. We charge a nominal fee for submissions through Submittable to reflect the time and effort of our staff in reading and responding to the works we receive. This fee of $3.00 will help support The Drum in its mission to bring new and established literary voices to a wider audience through the innovations of audio. The fee is comparable to the cost of preparing a snail mail submission, and we feel it is worth the convenience of the online submissions platform. Submitters who wish to avoid paying the fee may send their work via snail mail to: P.O. Box 380959, Cambridge, MA 02238. We will not return manuscripts without an SASE. We are grateful to the folks at Submittable for creating their wonderful, free submission management software! Want to help The Drum record great prose? Help us with our Stories on the Street feature. Choose an excerpt from a public-domain work, switch on the voice-recording app on your phone, and ask people to read the piece into the mic. Presto! Classic literature brought to life by everyday people. Try matching the excerpt to the location. Bartleby the Scrivener in your office full of cubicles. The food scene in Tom Jones in a restaurant. The ball from Pride and Prejudice at a summer barbecue. Use your imagination--and share it with The Drum! To participate in the Stories on the Street feature, here's what you need to do. Verify that the work you've chosen to record is indeed in the public domain. One way to check this is to look the book up in the Library of Congress catalog here. Also, the folks over at Libri Vox have a very thorough explanation of public domain here. Print out our release form from the pdf below. Sign it and take it to the street with you so that your readers can sign it too, giving you permission to use their voice for The Drum. Head out to your chosen spot with your favorite public-domain text and your microphone (the Voice Memo app on an iPhone works fine for this, as an example)! Send the audio file to editor [at] drumlitmag [dot] com, along with the release form so that we know we have your permission (and your readers' permission) to use the file.